Do you feel like you're constantly struggling to breathe comfortably in your home? If this is the case, you might be in need of a dehumidifier! In many instances, people are unaware that the reason they're feeling discontent is because of a high humidity level in their living spaces. That being said, it's never too late to make a change to your humble abode. If you aren't sure if you could benefit from a dehumidifier, consider the following advantages of using one. Children and toddlers are more prone to crawling around on the floor and spending time on the carpeting. For this reason, the University of Rochester Medical Center noted that dehumidifiers can be beneficial. For instance, Frigidaire models are often Energy Star rated and can remove allergens that are trapped within your flooring, which can cause health issues for little ones such as asthma. ABC Dehumidifiers, a dehumidifier advice site, stated that mold can grow in humid conditions and cause breathing issues for people who have preconditions such as allergies. Dehumidifiers can remove moisture from the air and keep it from becoming a hassle in your household. Excessive moisture in your environment can create irritation on your skin and in your nasal passages. For this reason, a dehumidifier can come in handy by removing it from the air and making it easier to breathe. 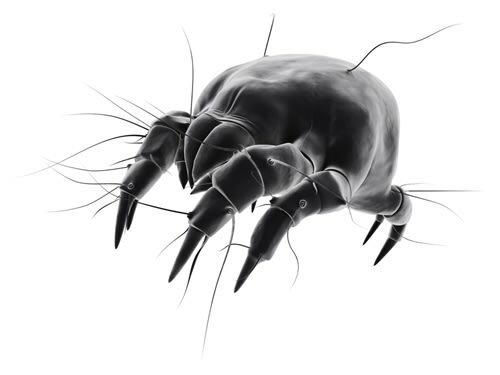 Dust mites, which can lurk in your carpeting, drapes and upholstery will find it more challenging to survive in an environment with less humidity. By bringing in a dehumidifier, you'll take away these pests' opportunity to thrive in your home.